In considering this page I did a cursory search on Amazon for ‘watercolour books’ and was astonished that it returned just under 10,000 results! Even allowing for all the duplications, it’s still a mind-boggling volume of ‘watercolour’ dedicated publications! I’m pleased – and relieved! – that my own library, whilst still growing, is a little more focused and hopefully concise than Amazons. I expect the list below to develop, especially as I hope that visitors may recognise certain themes running through this list and may be able to suggest their own favourite books or make recommendations for other books or guides that you think I should search out. Beneath the list of books, I’ve also included a short but growing list of films and DVDs that I’ve found to be either helpful or enjoyable (and often both). Aside from my opening dedication to Ron Ranson’s book on Edward Seago – which shall always retain a certain pride of place for rekindling my interest in watercolours – there’s no particular order of priority as to which I think is ‘the best’ – but suffice to say that I’ve found each of them to contain valuable/informative/inspiring/helpful information that has shaped and informed my own endeavours. Do let me know if you’d like any further details about any of the publications listed as I’d be happy to provide more information if anyone would find it helpful. Pingback: Look what Santa brought! This is a beautiful selections of books and videos John! I have several of your books and they are all a great inspiration and learning! As I mention before in another comment all of them will help you as input to be YOU and your OWN beautiful Art that’s what I keep in mind for my own art too! Thanks so much Carolina – and receiving such positive comments as yours is beginning to make me feel that I’m much closer to my ‘own voice’ than I thought! You’re very welcome and yes you do you are close to your own voice way more than you think! and, yes as time progresses your own voice will begin to crowd out the other voices; but those you’ve selected as your ‘mentors’ – are perfect! Thanks so much Debi and I love your analogy of my own voice eventually drowning out the noise of others. I’ll definitely be carrying this around with me for a long time to come. So pleased that Charlie’s Doodlewash was able to introduce us. Hi John, I think your watercolours and washes show you really have a keen interest and great to see, and they are reflected in your choice of artists. 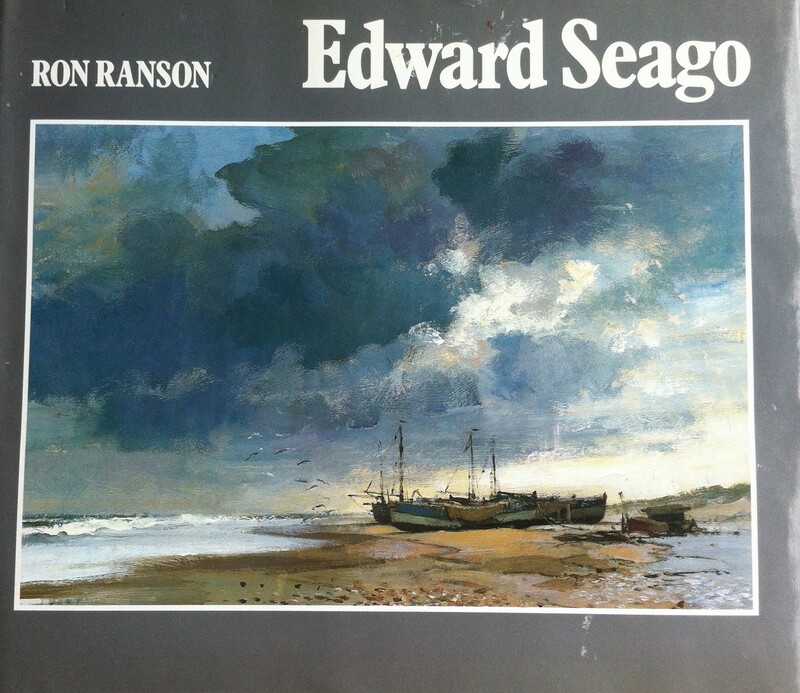 My father (Richard Parker) was, and I am very keen on Edward Seago’s works. However they are as you say difficult to copy as they rely on minimal intuitive working and perhaps its easier to create your own unique pictures albeit in the style of someone. Thanks for taking the time to visit and leave a comment. I quite agree – I definitely see my Seago/Wesson/Hilder efforts as an essential part of my watercolour apprenticeship before I go forwards and find my own (hopefully) distinctive voice. Are the watercolours that feature on your site your fathers?